Display your selection of canapes in style with this beautiful ceramic 3 tier cake stand, which can be used to present a tower of sandwiches, cakes and treats. 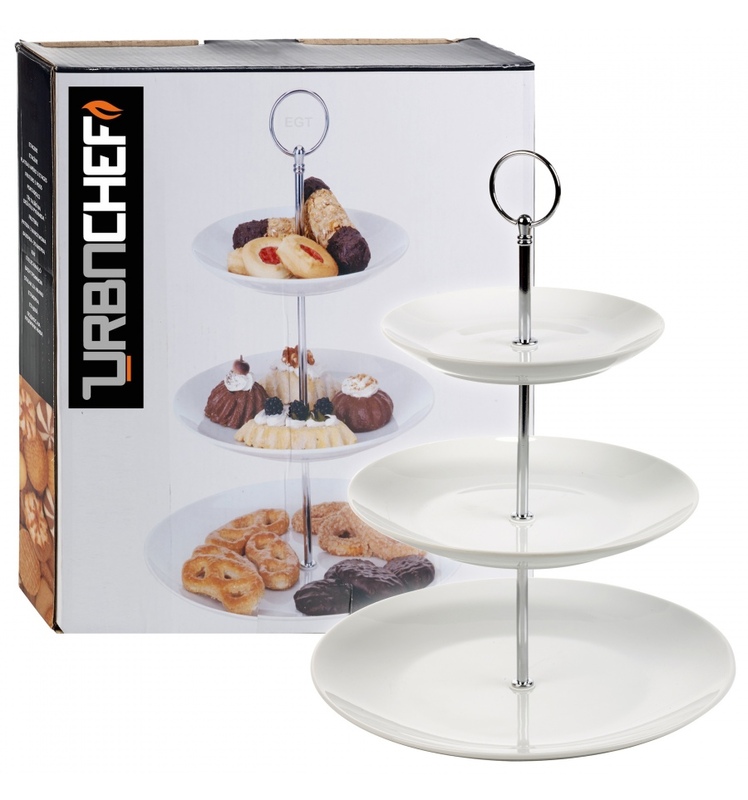 This beautiful 3 tier cake stand has a charming appearance and will sparkle as a dinner party centre piece. With its white ceramic finish it's perfect for presenting a range of tantalising treats and a selection of canapes, cakes, cupcakes and cheeses. This cake stand will come flat packed with instructions as to assembly.